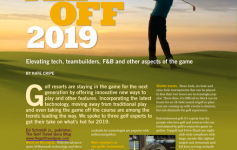 A strong U.S. economy, a record number of Baby Boomers retiring and golf cruise popularity are a few of the reasons 2019 will be a great one for golf travel. With more discretionary income, a trusty set of golf clubs and a passport, golf travelers are primed to travel and play golf around the world next year. According to AARP more than 10,000 baby boomers are turning 65 every day. Baby Boomers are projected to have 70% of all U.S. disposable income over the next five years. 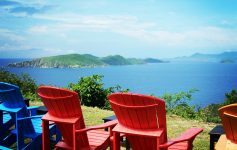 As more and more Boomers retire or semi-retire they’ll have more time and flexibility to travel. We’ll see an uptick in Boomers traveling to play golf with their spouses, who also will have more time to travel. Boomers play more golf than any other age-group and many avid golfers are intent on playing the golf courses at the top of their bucket list. In 2019 and beyond, more Boomers will travel in off-peak seasons to capitalize on discounted trips. Many trip offerings like golf cruises, packages to majors like the Masters and British Open and pro-ams are designed to appeal to Baby Boomers. 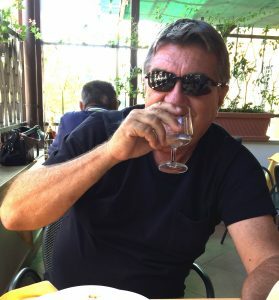 Millennials don’t have the time, inclination or disposable income to take golf trips, but Boomers have all of these and a distinct passion for the game of golf. Grab your sticks and head for the open seas! Cruising is wildly popular with passenger growth from 17.8 million in 2009 to more than 27 million in 2018. For those who like to cruise and play golf, there are an increasing number of options. Companies like Kalos Golf Cruises and PerryGolf offer luxury cruises to a variety of destinations around the world. Golfahoy Golf Cruises are offered on 193 cruise ships, including European riverboats and luxury charters. At the 2018 Ryder Cup in France, Premier Golf Travel partnered with Viking River Cruises for a 10-day itinerary that included attendance at the Ryder Cup and cruising from Paris to Normandy. Premier Golf recently introduced a cruise to the Eastern Canada Maritime Provinces (Nova Scotia and Prince Edward Island). Fore! Anchors Away! Golf travelers increasingly want golf trips designed to accommodate their personal preferences. They’re willing to pay more to get special access to certain golf courses and personalized experiences. Getting clients on, say, Muirfield and the Old Course in Scotland, Sunningdale in England or Shadow Creek in Las Vegas rewards them with an exclusive golf experience that few others get to enjoy. According to Virtuoso’s 2018 Luxe Report, luxury travelers are seeking experiences not found in a guidebook, advertisement or brochure. In golf travel, that translates to finding clients exceptional, off-the-beaten path or highly exclusive golf courses with limited play offered to the public. Golf Travel companies are increasing their presence on social media and they often post information and package deals on unique golf destinations, special event trips and tournaments or pro-ams. They also frequently post about discounted last-minute deals as they try to fill the remaining spots on a trip or cruise. Twitter, Facebook and Linkedin are popular outlets where you’ll find postings on packages and events. Instagram is a great resource to see images of the golf courses you might be playing and the pubs where you might be celebrating after a round. 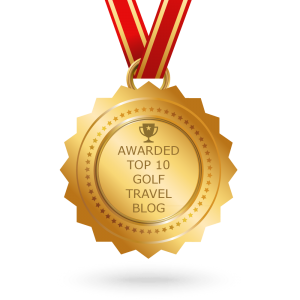 Golf Travel companies are continuing to expand and improve their websites to give golf travelers easier ways to find information about destinations and courses and get quotes. With online request forms, online trip calculators, website blogs, live online chats clients will find it increasingly easier to book trips quicker with a better knowledge of all costs involved and which courses have available tee times in their desired destination. Women are very influential in couples golf trip decisions regardless if they play golf or not. Golf destinations with a plethora of off-the-course activities such as shopping, sightseeing, dining spas, wine tours and cooking schools are increasingly more popular. The couples golf trip, especially for Baby Boomers, has evolved to include less golf these days with more activities for a more well-balanced experience. Destinations ideal for couples who want top-notch golf and a wealth of things to do away from the fairways includes Italy, Portugal, Spain, South Africa, Australia and New Zealand. The LPGA Tour, which has several high-profile tournaments in the Pacific Rim (Korea, Thailand and Japan), has elevated interest in that part of the world for golf travelers. The 2019 Solheim Cup (the ladies version of the Ryder Cup) will be played in September at Gleneagles in Scotland giving central Scotland a boost in exposure. Scotland and Ireland never go out of style for golf travelers, but an increasing number of golf tour operators are now selling the U.S.A. Fact is, you don’t have to cross the pond anymore for an exceptional links golf experiences. Hugely popular nouveau American resort complexes like Bandon Dunes in Oregon and Whistling Straits in Wisconsin offer waterside links-style golf and Streamsong Resort in Florida and Sand Valley in Wisconsin feature unique links-style experiences with fast fairways, dramatic sand dunes and lots of bump and run shots. Despite costly greens fees, golfers are still flocking to Pebble Beach Golf Links, Pinehurst No. 2 and the TPC Stadium Course at Sawgrass. The top value-oriented U.S. destinations are the Robert Trent Jones Golf Trail in Alabama, Myrtle Beach, South Carolina, Northern Michigan, Branson, Missouri and Mesquite, Nevada. 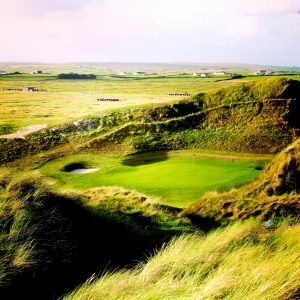 While Ireland is often viewed as Scotland’s baby brother in the world of golf travel, the Emerald Isle will take center stage in 2019 with the playing of the Open Championship (July 14-17) at Royal Portrush in Northern Ireland. It’s shaping up to be one of the best Open’s ever as the local citizens purchased more than than 1/5 of the public access tickets in the first 48 hours of posting. Northern Ireland hasn’t held the event since 1951 so you might say there’s some pent up demand. I predict the crowd noises will be booming roars similar to the Ryder Cup and The Masters. Following the immense exposure from the Open, it doesn’t take a soothsayer, or even a Golf Travel Guru, to predict Northern Ireland will become a very popular destination for golf travelers. Heading the list of must plays in the region are Royal County Down, Royal Portrush, Portstewart, Lough Erne, Castlerock and Ardglass. Instead of heading to the 19th hole to hoist a few, an increasing number of golfers are heading straight to the spa. They’ve traded in a Jameson and ginger or frosty micro-brew for a post round treatment that’ll help them rejuvenate for the next day on the golf course. The most popular massages for golfers are Swedish, Deep Tissue and Sports. Even resort complexes teeming with core golfers like Bandon Dunes and Streamsong offer spa services. Some the best golf resorts with spas include Sea Island, Georgia, PGA National Resort & Spa, Palm Beach Gardens, Florida, The Boulders, Scottsdale, Arizona and Fairmont Mayakoba, Cancun, Mexico. 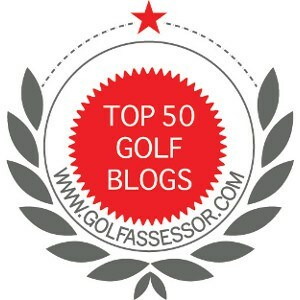 Previous Article Who Will Wear THE Green Jacket in 2019?